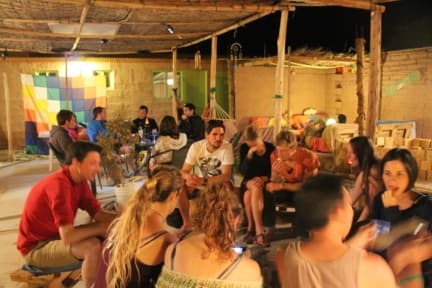 Hostal Laskar is a perfect place to relax after your excursions around the spectacular areas of San Pedro. Only four blocks from the main plaza, we’re located near all the shops, restaurants, and bars the town has to offer. 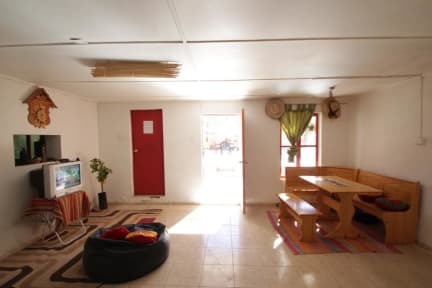 The hostel is quiet and cozy, and the environment is ideal for making friends with other travelers. We have hot water 24/7, free Wi-Fi, Cable TV, a fully-equipped kitchen, and we provide tea and coffee free of charge. We also have lovely common areas to chill out or hang out, an outdoor terrace with a fire pit where you can do barbeques and watch the stars at night.